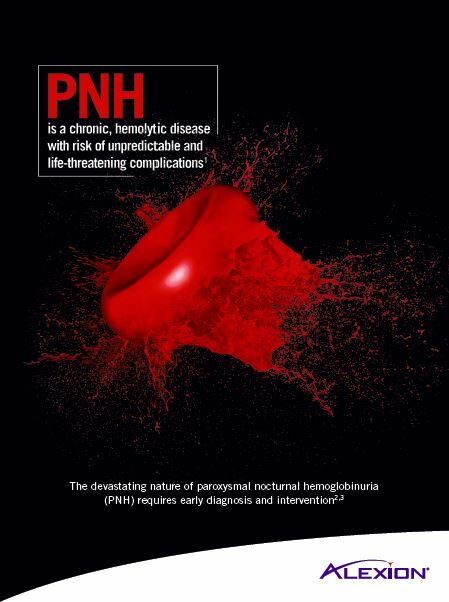 Download the PNH Disease Brochure for Physicians to learn more about disease severity, pathophysiology, clinical manifestations, diagnosis, and high-risk groups for PNH. 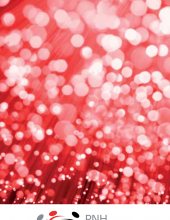 Download a copy of the International Clinical Cytometry Society (ICCS) Guidelines on accurate identification and monitoring of PNH cell populations. 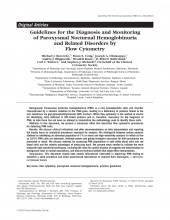 Guidelines include best practices for performing high-sensitivity flow cytometry for PNH and recommended high-risk groups for monitoring. 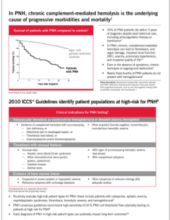 Download the Patient Subgroups Pocket Card that provides information about higher-risk groups recommended by the ICCS and International PNH Interest Group (IPIG) for PNH testing. 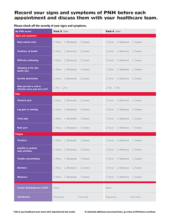 Download the Clinical Diagnostic Cheat Sheet for more information about performing a full clinical assessment to diagnose PNH. 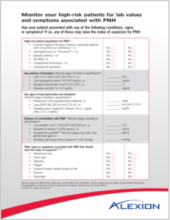 Download a toolkit for identifying patient populations at high risk for PNH. The Patient Subgroups with High Disease Prevalence Tool provides specific information about each of the high-risk patient groups for PNH. Download the PNH Registry Brochure to learn more about the PNH Registry, an international, observational, noninterventional study collecting data on patients with PNH to enhance global understanding of this ultra-rare disease. 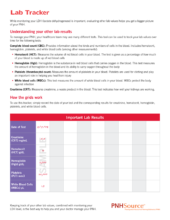 Download the Lab Tracker, a tool that can help your patients keep track of their LDH and other lab results. Help your patients keep track of their symptoms and lab results. Download a symptoms and LDH tracker tool that your patients can use to discuss their ongoing progress. 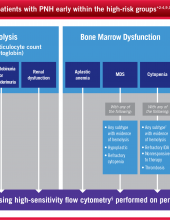 Download the "PNH Disease and Diagnosis Presentation for HCPs" to better understand PNH disease, its consequences, who to test, and how to diagnose. I understand that the PNH Downloadable Disease Deck is provided by Alexion Pharmaceuticals as a source of general information about PNH. The deck is intended to be presented in its entirety, and slides should not be modified in any way from their original version. Alexion makes no warranties or representations as to the completeness or accuracy of the information presented. Further, Alexion does not undertake any obligation to update any information that may change after posting.